India won a thriller of a contest, as they ended up winning the 5th ODI by 35 runs. Having posted a par total of 252 runs after losing 4 wickets for mere 18 runs, India almost conceded the match at the hands of Kiwis after a dominant partnership from Kane Williamson and Tom Latham, however, consistent wickets at the middle and death overs meant that the Indians prevailed the threat to win the series with a margin of 4-1. Having won the toss, India decided to bat first on a condition which was favorable for bowlers initially. The Indian captain, Rohit Sharma, reasoned this decision saying he wanted to test his batting unit on tough conditions. However, the plan of his backfired as the Indians were reduced to 18/4 inside the first ten overs. 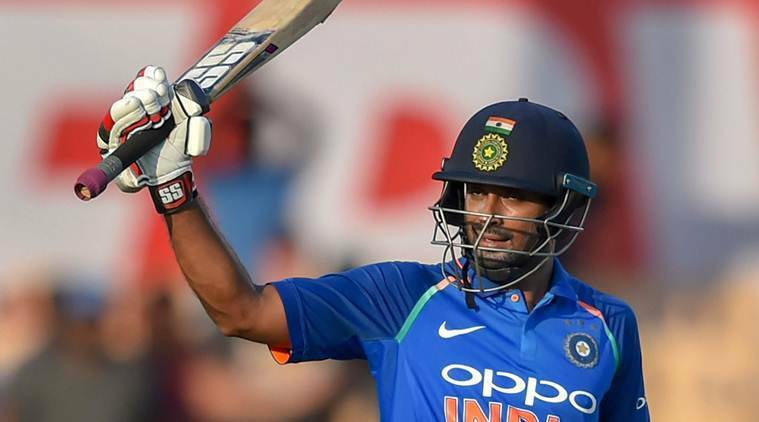 Ambati Rayudu and Vijay Shankar, however, steadied the Indian innings with a superb 98-runs partnership before Shankar was dismissed as he was run out after a mix-up with Ambati Rayudu. Another 74 runs partnership flourished between Rayudu and Kedar Jadhav before Rayudu was dismissed for 90 after trying to go for an aerial shot. Soon Kedar Jadhav too departed as the Indian just reached to 200-runs mark in 45 overs. However, a blitzkrieg of an innings by flamboyant Indian all-rounder, Hardik Pandya, helped the Indian total to reach the 252 runs mark in the allotted 50 overs. For India, Rayudu top-scored with 90 runs, and Hardik Pandya smashed 45 runs off just 22 deliveries. Matt Henry picked up 4 wickets and was ably supported by Trent Boult who managed to pick up 3 wickets. Colin Munro who was playing in his 50th ODI opened the Kiwi innings along with Henry Nicholls. A superb bowling effort by Mohammed Shami and Hardik Pandya reduced the Black Caps to 38/3 inside ten overs. However, a 67 runs partnership between Kane Williamson and Tom Latham ensured that the Kiwis were still on track to win the match. A couple of wickets in the middle overs hampered the New Zealand progression, as they were reduced to 135/6 in 31 overs. 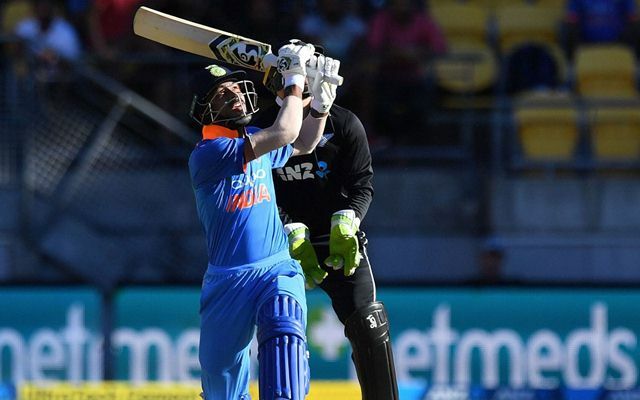 Jimmy Neesham, however, decided to take things on his own hand as he scored a quick-fire 44 out of 32 deliveries before a brilliant presence of mind by Indian wicket-keeper MS Dhoni led to his downfall. After Neesham’s dismissal, the Black Caps never looked like winning the game and ended up conceding the match at the hands of the men in Blue by 35 runs. Neesham top-scored for the Kiwis with 44 runs as Yuzvendra Chahal was the pick of the bowlers after picking up 3 wickets in the game. Ambati Rayudu for his match-winning knock of 90 runs, was handed over the man of the match trophy, while Mohammed Shami was adjudged the player of the series. India now plays New Zealand for a 3-match T20I series which starts from Wednesday, 6th of January. 5th ODI NZ vs IND Match Prediction – What will be the result?